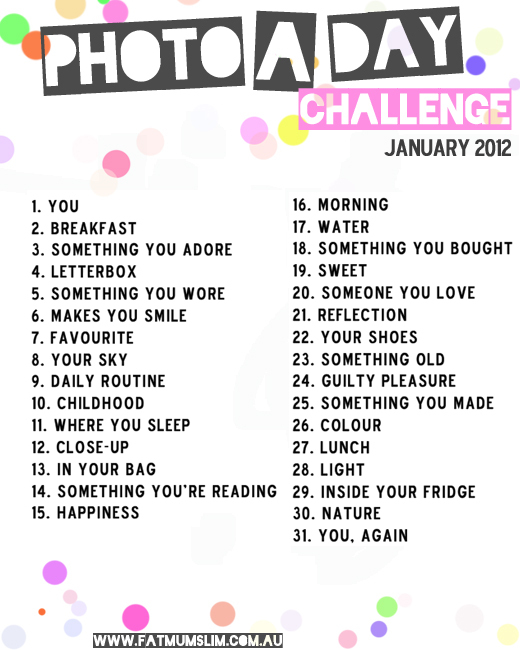 From time to time on Pinterest, I stumble across a daily photo challenge that piques my interest. 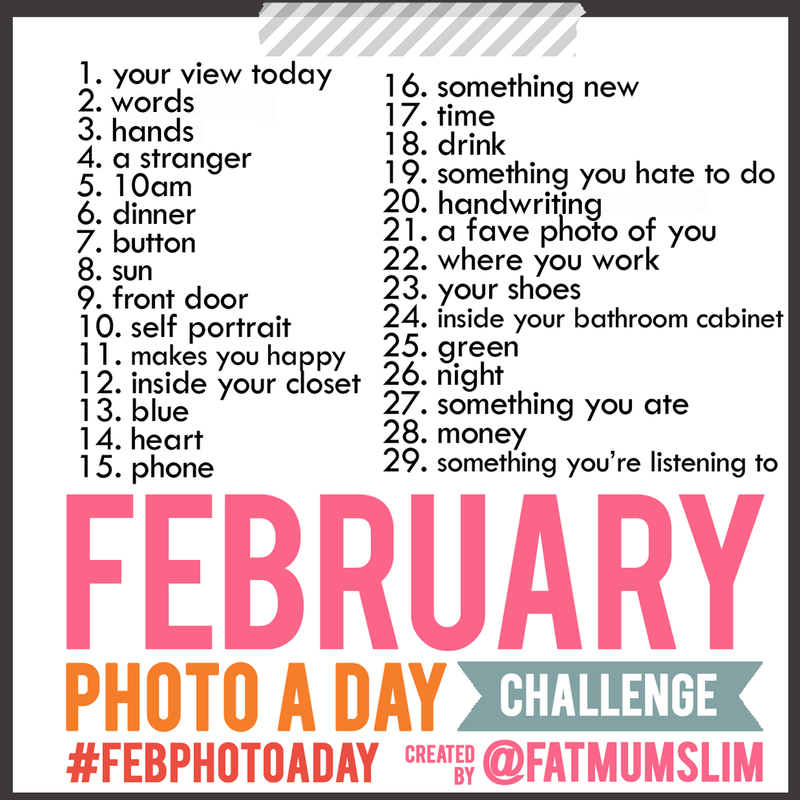 In January, I finally decided to take the plunge and participate using fat mum slim‘s prompts as my template. The keys for me to doing a challenge like this are 1) sharing, 2) allowing yourself to catch up, and 3) using a little creative license when you’re stuck — since the point is, after all, to be creative. So what’s the benefit for writers? It teaches you to always be looking to your surroundings for inspiration. When you do a challenge like this, you have to find the interesting in the mundane, the beautiful in the ordinary things we see every day. Sometimes it’s simply a matter of opening your eyes or peeling them away from your computer screen; other times it’s a matter of changing your perspective. It forces you to use your imagination, to solve problems, and to tell a tiny story with a single picture (something that is, perhaps, even more beneficial for screenwriters in particular). Plus it’s super fun, and when you’re stuck in the Doldrums of Act Two, every little bit of fun you can pass off as creative work helps. And bonus: If you veer toward the sentimental like I do, it’s kind of fun to have these small moments documented throughout the month to look back on.